In order to understand what a deviated septum is, we must first understand what a “normal” septum looks like. The right and left nasal passageways are separated by the septal wall, a vertical structure comprised of cartilage. Ideally, the septal wall is straight and aligned, evenly separating the right and left nostrils and optimizing airflow. A deviated septum means that the patient’s septal wall is misaligned. This causes an asymmetry of the cartilage that supports the nasal cavity, so that one nostril becomes more blocked than the other. This can cause a moderate to severe disruption in airflow. A deviated septum is a cause of concern when it significantly impairs breathing, is accompanied by frequent headaches, trouble sleeping and recurring sinus infections. A deviated septum can be present at birth, or it can result from trauma to the nose. In either case, it is in the patient’s best interest to seek medical attention, as a deviated septum can be both unhealthy and uncomfortable. Also, because symptoms from a deviated septum can become worse over time, Dr. Westreich always recommends patients to consider deviated septum repair in the earlier stages of the condition when possible. The most apparent and harmful symptom of a deviated septum is difficulty while breathing. This restricted breathing can manifest as extra effort for inhalation of air and loud snoring at night. Patients who suffer from a deviated septum typically feel permanently congested, and often report frequent sinus infections, nosebleeds, and headaches. Pain concentrated around the nose, postnasal drip, sleep apnea, and congestion that is more prevalent in a single nostril are other common symptoms of a deviated septum. If you are experiencing any individual symptom or a combination thereof at a higher than average rate, schedule a consultation with Dr. Westreich at his New York City office to have a professional evaluation of your condition. A deviated septum can restrict proper airflow and make it increasingly difficult to breathe. Though there are some non-surgical treatments that can alleviate the prevalence of such symptoms, nothing is as effective or long lasting as an actual surgery. A septoplasty, essentially a surgery to repair a crooked nose, has distinct implications for the patient’s overall health. During your septoplasty, Dr. Westreich will make a small incision on the inside of the nose through which he can remove the extra cartilage and/or bone that is confining the flow of air. The procedure is typically complete in less than two hours and, depending on the extensiveness of the work to be done, the patient is placed under local or general anesthesia to maximize comfort. Sometimes, Dr. Westreich will strategically place splints inside the nose where the septum has been operated on in order to promote stabilization during the healing process. It is also common for patients to seek a simultaneous rhinoplasty, or nose job, alongside your deviated nose surgery. In this way, patients are able to “kill two birds with one stone,” improving both their physical health and any possible imperfections in the appearance of their nose. Choosing the right surgeon to conduct the procedure is one of the most important decisions of the entire process. As a general rule of thumb, it is recommended that patients seek the help of a surgeon who is also board certified in otolaryngology. Dr. Westreich is double board certified in facial plastic surgery and otolaryngology, meaning he has extensive knowledge of the facial anatomy and works exclusively with the functional and aesthetic properties of the nose. Not only is he one of the most qualified surgeons practicing septoplasty in NYC, he also treats each patient on an individual basis and takes pride in cultivating personable, lasting patient-doctor relations. The cost of a deviated septum surgery, known as a septoplasty: can often be covered by insurance, depending on the patient’s insurance plan and whether it can be proven that the deviated septum is impairing the patient’s quality of life. In order to qualify for full or partial coverage for a septoplasty by insurance, it must be proven that the procedure is a medical necessity. If you are looking for cosmetic improvements, additional out of pocket costs will apply. Still, the exact cost of your deviated septum surgery varies largely based on the severity of the deviated septum, and can be more properly determined upon Dr. Westreich’s evaluation at your consultation. As always, our friendly staff will be happy to assist you in setting up a personalized payment plan, so that the road to realigning your nose and restoring your health is as affordable and practical as possible. The recovery period after your septoplasty is crucial to proper healing and preventing recurrence. Swelling and bruising are completely normal and even expected, but should begin to subside as recovery progresses. You will meet back with Dr. Westreich one week after your surgery for a follow-up appointment, during which Dr. Westreich will evaluate your nose to ensure you are healing as expected, gently clean any dried blood, and remove any nasal packing or stitches you may have. For the best results, follow all post-operative instructions given by Dr. Westreich. It is important to sleep with a few pillows under your head at night, blow your nose gently, and avoid strenuous physical activity for at least two weeks. You will begin to notice a substantial improvement in your breathing in the weeks and months that follow your crooked nose surgery. 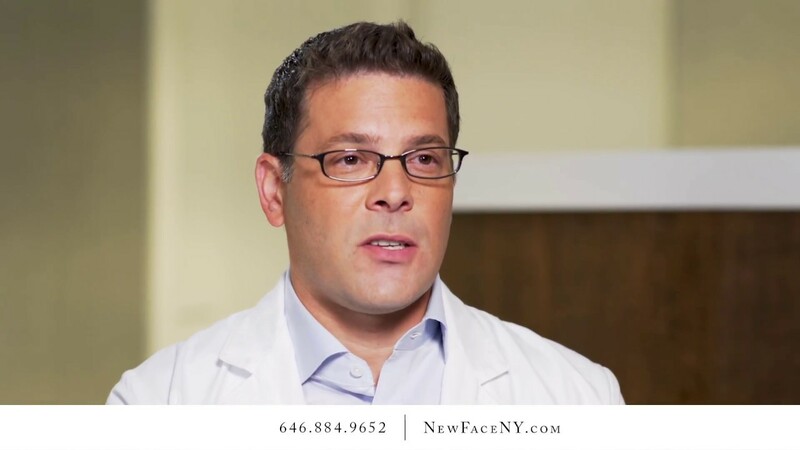 Dr. Westreich is proud to have one of the most outstanding levels of patient satisfaction, making him among the most trusted and respected surgeons in New York. Once the splints have been removed and your recovery is a few weeks in, you will start to reap the benefits of your septoplasty. You will start to notice that your breathing is less congested and more natural, and that associated snoring stops for the most part. Dr. Westreich is also an expert in revision deviated septum surgery and often performs secondary surgeries on patients who have had primary procedures performed elsewhere. Revision surgeries are more complex than initial surgeries as there is generally less cartilage to work with and more scar tissue. The best way to avoid a revision is to go to an expert the first time. Even when all the proper care and precautions are in order, septoplasty does carry some risk. Excessive bleeding, scarring, resulting infection or perforation of the nose, and the loss of sensitivity to smell are rare, but serious complications. Still, it is important to stress that the benefits of a deviated nose surgery far outweigh the possibility of complication. Dr. Westreich works hard to minimize the possibility of risk to the best of his ability, so you can rest assured that you are in good hands along every step of the way. Foundation Rhinoplasty is a technique developed by Dr. Westreich specifically designed for deviated nose correction. However this technique can also be used in non-deviated Rhinoplasty in order to ensure stable and long term results. When undergoing correction of the deviated nose, you may also choose to have aesthetic enhancements to the nose, chin or other areas of the face. Patients often request cosmetic corrections to the nose at the same time as septoplasty surgery. Nasal obstruction is a common problem that can significantly affect a patient’s quality of life. The goal of surgery for nasal congestion is to make the nasal passages more open. Since Rhinoplasty often involves making the nose smaller, a balance between these goals must be achieved. As a board certified facial plastic surgeon, Dr. Westreich has extensive experience in both functional and cosmetic nasal surgery and is uniquely qualified to perform this simultaneous correction. This procedure is often more difficult in deviated or crooked noses. The goals of functional nasal surgery is to create even and adequate passages on both sides of the nose. If the external nose is crooked and not fixed, then the likelihood of surgically creating a straight septum with balanced air passages is low. Dr. Westreich believes that creating a uniform and straight nose, both internally and externally, is the best way to meet the functional and aesthetic goals when performing septoplasty and rhinoplasty surgery. Dr. Westreich believes that a thorough understanding of how the nose works is critical to surgical success. The symptom of nasal obstruction must be comprehensively evaluated, keeping the patient’s ethnicity and nasal architecture in mind, as all noses do not breathe through the same pathways. One such factor is the inferior turbinates; these are paired structures of bone and tissue that hang from the side of the nose bilaterally that can become engorged with blood. These turbinates swell and obstruct your nose when you get a cold or if you have allergies. Reducing their size can be critical to improving your breathing. Many other conditions, such as allergic or irritant rhinitis, chronic sinusitis, and other illnesses can contribute to breathing problems. As a specialist in reconstructive and cosmetic nasal surgery, Dr. Westreich will evaluate you for both medical and surgical treatment options.